- Can you afford not to be covered? Invoice finance is any product that lets you trade invoices for finance, this can be invoice factoring, invoice discounting, receivables factoring, confidential factoring, non-recourse factoring or any other configuration of the above. Invoice finance is used in business and commercial financing to remove the requirement for personal guarantees or assets to be used as security. You simply 'sell' the invoice to the agent, collect the bulk of the cash up front. All with no stress or worry about debt collection. Getting finance as a small company with little or no trading history can be extremely difficult, that is why many SMEs turn to debt factoring. Your small business is not required to own any assets, or provide any guarantee making invoice factoring the go-to choice for all types of small and medium sized business. We have access to over 30 of the UK’s leading lenders and will cherry pick 2-3 providers that are best suited to your requirements. Our expert advice is completely free and so there are no obligations to take up a facility. Many businesses fail not from lack of profit, but from a lack of cash. We can help. Our factoring and invoice discounting solutions are designed to put the funds you need to work in your business fast. Late payment is a common problem for many businesses. While we can't eliminate it completely we can help. For example, our thorough credit checks can help you avoid problems before they start. And if you choose our factoring products, your business will have our credit control team working to collect the debt on your behalf. 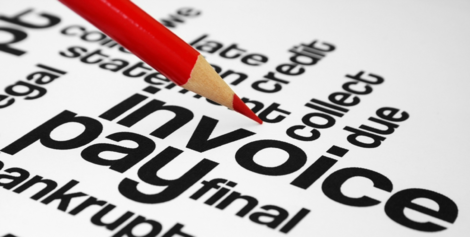 Factoring and invoice discounting are not just products for businesses with cash flow concerns. They can also help if you are looking to expand - organically or through acquisition. So if your business generates a constant flow of invoices, our factoring services could provide the funding you're looking for. This could help you fund an acquisition without the need for personal security - or simply facilitate a deal that would otherwise prove difficult. It could also provide the day-to-day funds you need in order to buy raw materials or pay wages. Thinking of a management buy-out or management buy-in? Invoice finance uses the sales ledger to help raise the funds you need. This could help you avoid the need for personal security or external funding.